Classic Sci-Fi novels, modern science fiction books… Where do you start? From dystopian societies to intergalactic travel, science fiction is an exciting genre that’s packed with unique settings and stories. Below, we’ve listed the 25 best sci-fi books of all time. Our list includes everything from iconic 20th century dystopian novels to futuristic space adventures, with options for young adults and more experienced readers alike. You will find a range of books in this guide put together by popular opinion, our personal favourites, and best-sellers we’ve seen time and again in the Sci-Fi genre. It’s time to go intergalactic with your choice of books in 2019! 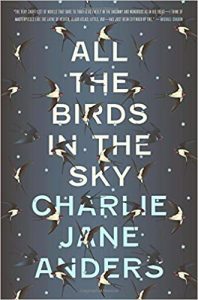 The debut speculative novel by Charlie Jane Anders, All the Birds in the Sky is a mix of fantasy and science fiction. The near-future plot revolves around Patricia, a witch, and Laurence, a geek that’s been inventing complex machines from a young age. After growing up together, the two become separated, meeting again in adulthood as the world begins to deteriorate. Fast-paced, engaging and exciting, All the Birds in the Sky is a wonderful fantasy and sci-fi novel that’s perfect for young adults and more mature readers alike. 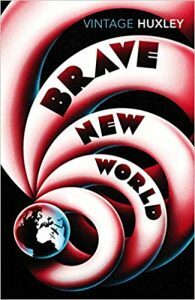 Published in 1931, Brave New World depicts a futuristic, utopian society that’s held in place via a mix of social pressure, psychological manipulation and technology. Widely regarded as one of the greatest novels of all time, Brave New World was influential upon its release, playing a major role in shaping science fiction throughout the middle and later years of the 20th century. Worth reading both for its themes and for its incredible social impact, Brave New World is one of the best works of science fiction ever — a smart, unique and thought-provoking novel that’s ideal for an interesting weekend. Published in 1949, George Orwell’s Nineteen Eighty-Four is often listed alongside Brave New World as an essential piece of dystopian literature. While it’s similar in style, the society that’s depicted in 1984 is fairly different, held together through surveillance and paranoia. 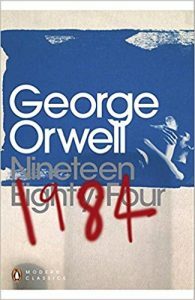 One of the 20th century’s most innovative and influential novels, 1984 contributed a variety of terms into common usage, from Big Brother to thoughtcrime. At just over 300 pages, this smart, incredibly influential novel is a must-read for anyone interested in dystopian science fiction. Another dystopian science fiction novel, A Clockwork Orange depicts a near-future England that has become dominated by “ultra-violence.” The novel follows Alex, a teenager, as he goes from leading a violent teen gang to lengthy serving a prison sentence. 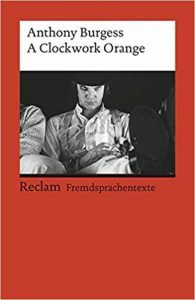 This restored edition of A Clockwork Orange includes explanatory notes, as well as a glossary outlining the terms used in the novel. Like Nineteen Eighty-Four and Brave New World, A Clockwork Orange is an influential but very controversial piece of fiction. Today, it’s best known thanks to the 1971 Stanley Kubrick film but, like many other classic stories, is still best experienced in its original written form. I Am Legend follows Richard Neville, the sole survivor of a global pandemic that has wiped out humanity. Mysteriously, Neville is unaffected by the disease — a fact he struggled to fully come to terms with as he explores post-apocalyptic Los Angeles. Through flashbacks, the novel dives into Neville’s past, showing the incredible personal losses he suffered as a result of the deadly pandemic. 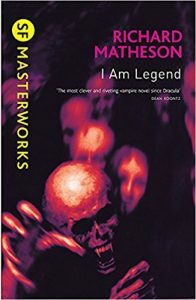 Tense and exciting, I Am Legend is one of the most important works of science fiction from the 20th century. Released in 1954, it still feels modern today, with a timeless story and engaging setting that makes it the perfect weekend read. Equal parts science fiction and horror, Frankenstein takes us into the life of ambitious scientist Victor Frankenstein as he creates his monster. The novel is written from the perspective of the scientist and from the Creature, giving it an interesting and unique feel. 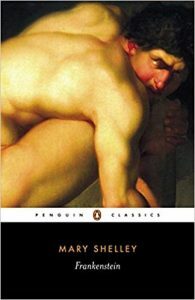 First published in 1818, Frankenstein is one of the oldest works of science fiction that remains relevant today. At 280 pages, it’s a short, engaging read that’s worth it if you’re a fan of classic sci-fi. Amazingly, Mary Shelley wrote the original novel when she was just 20 years of age. The Forever War depicts an interstellar war, pitting humanity against an alien race known as the Taurans. William Mandella, an elite recruit, is conscripted to fight against the Taurans, making his way through basic training and into engagements with the enemy as the novel progresses. The first book in the Forever War series, The Forever War is a classic of science fiction. First published in 1974, this fast-paced, engaging military sci-fi novel won the 1975 Nebula Award, the 1976 Locus Award and the 1976 Hugo Award for its smart, engaging storyline. 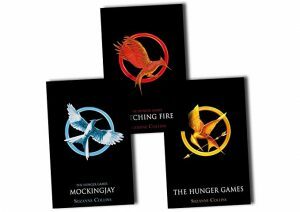 Set in a dystopian near future, The Hunger Games (as well as its sequels, Catching Fire and Mockingjay) depict the nation of Panem, a futuristic nation that’s replaced the United States of America. Panem is ruled from the Capitol — a rich area surrounded by abject poverty. Aimed at young adult readers, the trilogy is packed with exciting scenes and interesting, smart characters. If you’re a fan of the movies or just enjoy young adult science-fiction, the series is a great introduction to the genre and a fascinating collection of stories in its own right. 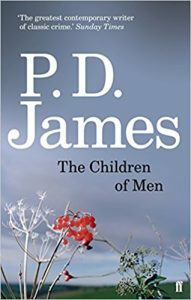 Published in 1992 but set in a then-futuristic 2021, The Children of Men follows Dr. Theodore “Theo” Faron, as he explores a future in which the UK is depopulating after a mass outbreak of sterility. In this dystopian setting, humanity in the UK is divided into different strata, from the spoiled and wealthy Omegas to the exploited foreign workers. With its sharp, sometimes funny criticism of modern culture, The Children of Men is equal parts science-fiction and political commentary. The first novel by British-American writer Nicola Griffith, Ammonite follows Marghe Taishan, an anthropologist hired by the Settlement and Education Councils to scout the planet Jeep before it’s colonized by humanity for the second time. Prior to Taishan’s visit, humans had attempted to colonize Jeep, experiencing a deadly virus in the process. 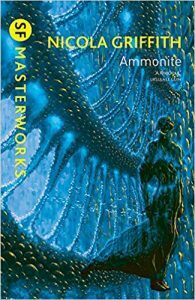 With its smart commentary, unique setting and interesting plot, Ammonite is one of the best science fiction novels of the 90s and a good read for fans of the genre. Published in 1953, Fahrenheit 541 was one of the most influential science fiction novels of the 20th century. Set in a dystopian United States, the story follows Guy Montag, a “fireman” who has been employed to set fire to books and the buildings in which they’re found. Like Nineteen Eighty-Four and Brave New World, Fahrenheit 451 depicts a dystopian, futuristic society in which humanity has regressed. 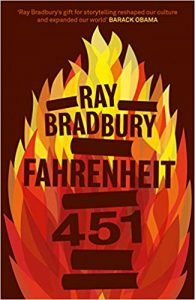 A great introduction to science-fiction for young adult readers, Fahrenheit 451 is a fast-paced, exciting and thought-provoking story. 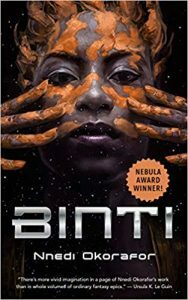 Short and engrossing, Binti is a fantastic novella written by Nigerian-American fantasy author Nnedi Okorafor. The novel follows Binti, a member of the Himba ethnic group, as she attends the Oomza Uni intergalactic university. On the way to the university, Binti’s ship is hijacked by a hostile alien species, requiring her to use her wits to survive. At just 96 pages, Binti is a short, exciting read that’s perfect for young adults and older fans of science fiction alike. 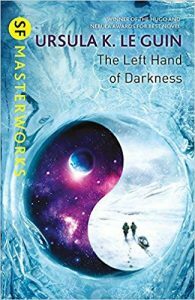 The winner of the 2016 Hugo Award for Best Novella, this is a smart, fun and engaging novella that makes for fantastic weekend reading. One of the most popular modern works of science fiction, Ender’s Game was first published in 1985. This military science fiction novel follows mankind as it prepares for its third conflict with the Formics, a race of intergalactic insectoids. 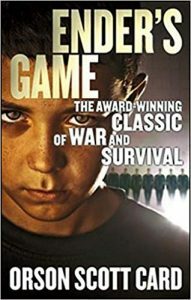 Popular with real-life militaries, Ender’s Game is listed as one of several recommended books for members of the United States Marine Corps. Told from the perspective of Andrew “Ender” Wiggin, a child trained from a young age to take part in the potential conflict with the Formics, Ender’s Game is an exciting, fast-paced novel that’s a must-read for fans of military science fiction. The Handmaid’s Tale depicts a near-future United States that’s dystopian, starting with a staged attack by a radical group known as the “Sons of Jacob.” In the wake of the attack, the American constitution is taken out of law, with mass censorship and control sweeping the country. 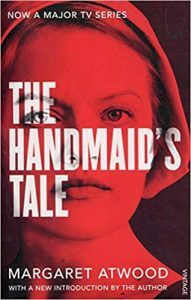 Offred, a handmaid, narrates the story, which touches on themes such as women’s subjugation and totalitarianism. First published in 1985, The Handmaid’s Tale was adapted into a TV series in 2016, renewing mass interest in this influential and important piece of science fiction. 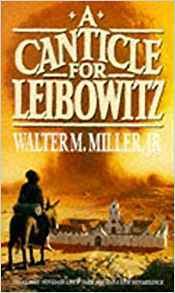 The story follows the followers of Isaac Edward Leibowitz, a military electrical engineer who hid books in the wake of the war. Split into three separate parts, the story spans the 26th, 32nd and 38th centuries as it covers the redevelopment of civilization in the wake of the nuclear war. 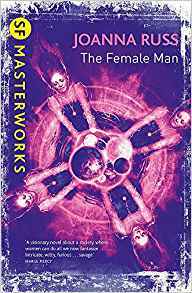 First published in 1975, Joanna Russ’s The Female Man is a work of feminist science fiction that challenges many of the sexist views present in 1970s literature. Set in parallel worlds, the novel follows four women who cross over into each other’s societies. In doing so, they discover that gender roles in their parallel worlds differ greatly, changing their notions of femininity and masculinity. With its political themes and unique setting, The Female Man was one of the most socially influential works of science fiction of the 1970s. Another major work of feminist science fiction, The Left Hand of Darkness made waves when it was first released in the late 60s. Today, it’s a unique and engaging work of science fiction that’s just as engrossing and thought-provoking as it was upon its original release. One of the most influential works of science fiction ever published, Dune depicts a future feudal society in which the Padishah Emperors rule over all. “Spice,” a cognitive enhancement drug, is the commodity that drives the society on the remote and inhospitable planet Arrakis. The first of six books in the series, Dune is an interesting read that’s full of unique settings and smart, intriguing characters. 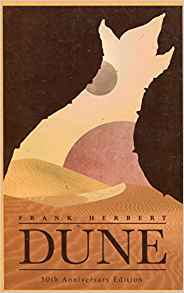 Acclaimed upon its release, Dune has remained popular, selling in the tens of millions since it was first released in the mid 1960s. Set in the wake of a deadly zombie apocalypse, Feed is equal parts science fiction and classic horror. The novel follows Georgia Mason, a blogger assigned to follow Republican presidential candidate Peter Ryman as he makes his way around the country. Throughout the book, Mason and her colleagues begin to suspect that dark forces are at play when a series of increasingly unusual and terrifying events occur. 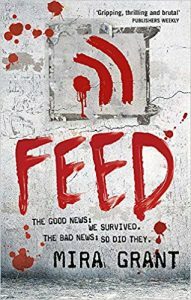 A smart, exciting read, Feed is a unique and thrilling mix of horror, science fiction and modern political fiction. 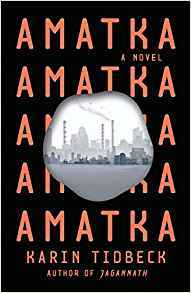 Listed as one of the Guardian’s best science fiction and fantasy books of 2017, Amatka is set in a world of conspiracy and paranoia. When Vanja, an information assistant, is dispatched to the harsh Amatka colony, she notices the colony’s paranoid, surveillance-obsessed mentality. After unexpectedly falling in love, Vanja extends her stay, discovering a major conspiracy by the administrators of the colony that puts her personal safety at risk. A thrilling and fast-paced read, Amatka is a great work of modern science fiction that’s perfect for evenings or weekends. Set in an alternative reality in which Charles Lindbergh wins the 1940 presidential election and makes a deal with Nazi Germany promising not to enter World War II, The Plot Against America is a fascinating work of 21st century science fiction. Told from the perspective of Philip Roth, a member of the Jewish Roth family, the story covers a fast-paced period of change in America. 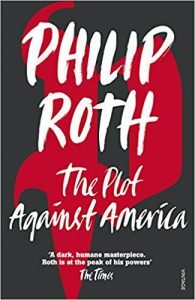 A must-read for fans of alternative history fiction, The Plot Against America is sharp, funny and scathing in its unique historical social commentary. Equal parts anti-war novel and science-fiction story, Slaughterhouse 5 is a gripping novel that centers around the World War II experiences of Billy Pilgrim, a 21-year-old from New York who has been drafted into the Army to serve in the war against Germany. 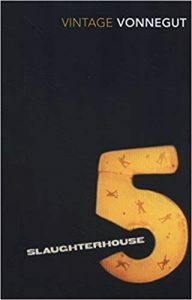 Unique and engaging, Slaughterhouse 5 involves elements of psychological thrillers, modern science fiction and historical fiction. 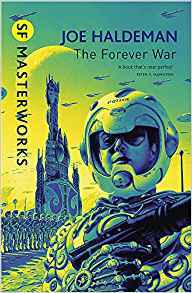 A smart, engrossing read, it was one of the 20th century’s most groundbreaking works of science fiction and a great treatise on the horrors of war. Although it’s better known as the critically acclaimed and massively popular Steven Spielberg movie, Jurassic Park started as a novel. Thanks to genetic engineering, scientists have been able to resurrect dinosaurs, which they’ve released onto a remote island in the ocean. One of the biggest science fiction bestsellers of the 90s, Jurassic Park is a smart, fun look at what can happen when science goes wrong. 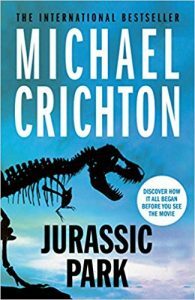 Equally as fast-paced and exciting as the movie, Jurassic Park is an exciting read that puts you right in the action as catastrophe breaks out. Like Jurassic Park, Ready Player One is perhaps better known thanks to the Steven Spielberg blockbuster than its original source material. Published in 2011, this science fiction novel from debut author Ernest Cline is set in a dystopian future dominated by VR video games. In the VR world, Wade Watts embarks on a hidden Easter egg that’s promised to provide him with the incredible fortune of the game’s creator. 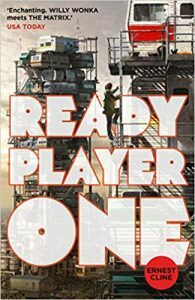 Smart, funny and perfect for tech enthusiasts, Ready Player One is a thrilling work of modern science fiction that’s ideal for young adults. Published in 2012, Redshirts earned John Scalzi the 2013 Hugo Award for Best Novel, as well as countless other accolades. Set aboard the Intrepid, the novel blends science fiction with an interesting twist — that the ship could be under the influence of a past television show. 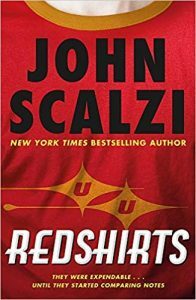 Smart and funny, Redshirts is a great read for fans of the science fiction genre, who’ll no doubt find the book’s pokes at genre tropes amusing. Beyond its novel concept, the book is a fantastic all-round read, with an interesting story that keeps you absorbed until the very end. We hope that this guide has been helpful in aiding you in your literary choices. Picking the right book out of any genre can often be a little bit daunting, particularly for readers who may not have given Sci-Fi a go in the past. Let’s face it though… Once you get stuck into your first Science Fiction novel, it can be very hard to not go down the rabbit hole. Got a book you want to add to the list? Get in touch with the team today and we’ll be happy to consider any books to add to our selections.